Cannabidiol, or CBD, is the second most common cannabinoid found in cannabis. 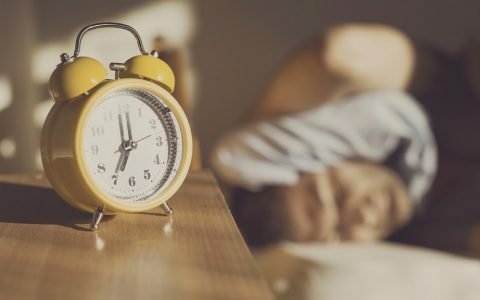 Unlike its psychoactive sister, THC (or tetrahydrocannabinol), CBD plays it cool, offering relaxing, non-intoxicating effects that lend themselves to a variety of personal and medicinal uses. Because CBD lacks the stoney side effects typical of high-THC strains, it’s a great choice for patients needing to keep a clear head while treating pain, nausea, headaches, stress, anxiety, muscle spasms, epilepsy, and more. But with so many high-CBD strains hitting the market today, it can be difficult to choose one. These high-CBD strains are the most popular and easy-to-find based on Leafly user-submitted reviews. Just click the strain tile to check if a strain is available near you! Harlequin is one of the most popular CBD strains available. Typically testing around the 5:2 CBD/THC ratio, it exhibits a sativa-dominant alertness with only mild euphoria. Harlequin has a happy bent that most will find enhances whatever activity they are engaged in. 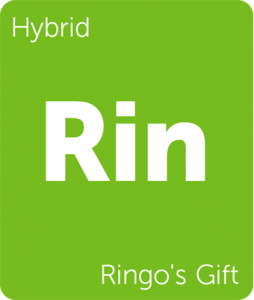 Ringo’s Gift—named for activist, CBD specialist, and founder of SoHum Seeds, Lawrence Ringo—is a hybrid cross of Harle-Tsu and ACDC. It keeps on giving to patients seeking a nearly full-on CBD-driven strain, with an average ratio of 24:1 CBD/THC. 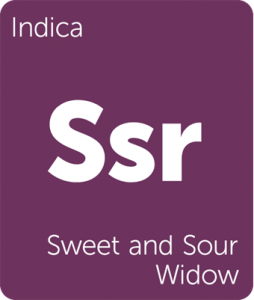 Sweet and Sour Widow lands in the middle ground with a 1:1 CBD/THC ratio. This even split offers first-time cannabis consumers an enjoyable entry point to both THC and CBD without sending them into orbit. It also makes for good medicine while being slightly euphoric and stoney. 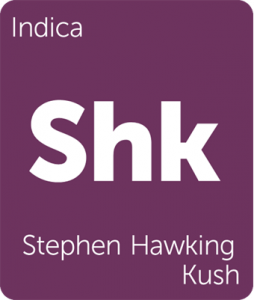 Stephen Hawking Kush offers mild, relaxing effects while doling out a healthy dose of CBD, too. This indica-dominant strain is one of the more unique CBD cuts out there, offering both heady and soothing effects. ACDC is easily my favorite CBD strain. The cannabinoid content is usually heavily CBD-dominant, sitting on average at 20:1 in its CBD/THC ratio. 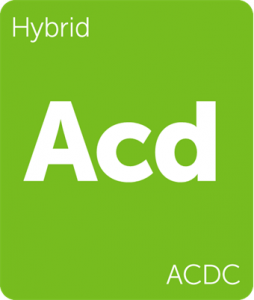 An imperceptible amount of THC makes ACDC an outstanding companion for daily medicinal cannabis consumers seeking to relieve tension, pain, or anxiety. 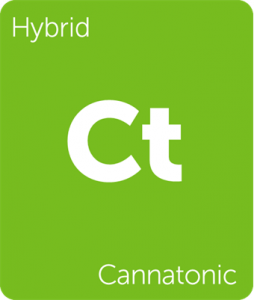 Cannatonic isn’t nearly as sedative as the name implies. This strain usually brings a smaller CBD/THC split, ranging from 5:1 down to 1:1. This even-keeled cannabinoid profile gives consumers a great deal of flexibility to use Cannatonic as medicine or as an enjoyable, mild mannered strain to unwind with. 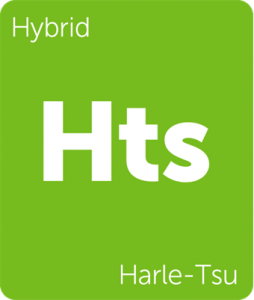 Harle-Tsu, one of a few lovingly handcrafted strains created by the late Lawrence Ringo, is an outstandingly functional CBD cut. 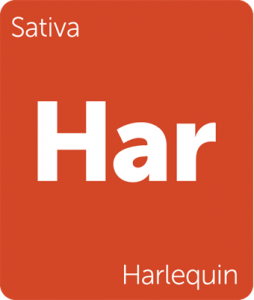 By combining Harlequin and Sour Tsunami, Harle-Tsu achieves a pleasant disposition without encumbering the consumer with strong sedation. 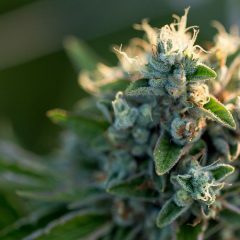 Canna-Tsu is a more balanced CBD/THC strain that offers a unique bouquet of smells. 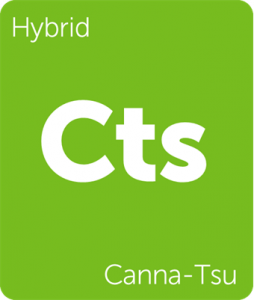 With aromas of citrus and sweet earth, Canna-Tsu gives the CBD enthusiast a complex palate of flavor and terpenes to enjoy. 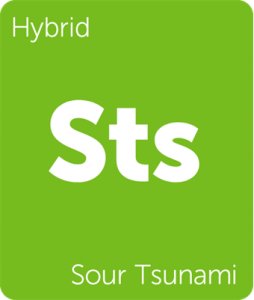 Created by the larger-than-life grower and activist Lawrence Ringo, Sour Tsunami was brought into being by combining Sour Diesel and NYC Diesel. 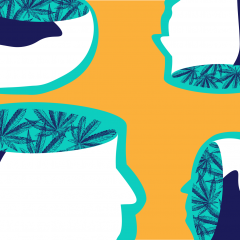 This unlikely pair of stimulating plants bred the high-CBD phenotype that has since redefined the medicinal qualities of cannabis. Pennywise certainly has the scariest of all the names that made this list, or at least it does for those familiar with the Stephen King book responsible for its namesake. But fear not, Pennywise truly gets its name from its genetic cross of Harlequin and Jack the Ripper. It synthesizes Jack the Ripper’s mental clarity and an even 1:1 CBD/THC to make a strain that is functional and enjoyable at almost any dose. I would like to try Charlotte’s Web for pain but it doesn’t seem to exist in the San Francisco Bay Area. Suggestions? I’ve been using Critical Mass but time for a change. Go online to cwhemp.com. It can be shipped anywhere in the US. It’s located only in colorado. We have our own strains that are similar though in the bay area. If you get a chance, try harlequin or suzie-q. Cannatonic is amazing. I know you can find some suzie-q in san jose for about 60 bucks for a quarter. it’s a 55:1 ratio of CBD to THC. so about 23% CBD and 1% THC. Just curious… how come Charlotte’s Web is not in the list? It’s found only in colorado. Charlotte’s Web. I have the strai n,and seeds,right here in Midlan d,Michigan. Plans for oil and bu tter with it for myself,and peopl e/kids that need it..
Trident is an AMAZING CBD strain for autism. It’s my primary autism medication. I take some most mornings. If you are autistic and can find trident I HIGHLY recommend giving it a try. Even if you aren’t autistic give it a try. It’s a great CBD strain. MediHaze is amazing cbd strain for anxiety and depression. Parents are Super Silver Haze and Haze. I have been using Catatonic for the past few months. I made it into a tincture using Vodka and Hemp oil. It really did a job on my back pain; loved it. But, it increased my anxiety exponentially. I had to stop using it. 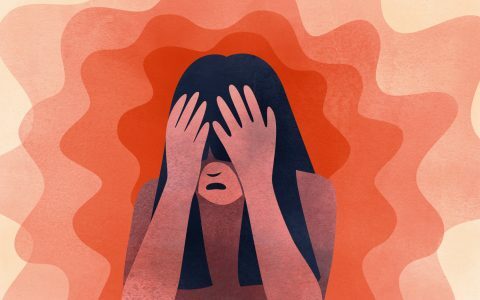 What do you recommend for nerve pain that doesn’t create an anxiety problem? I already use Kryptonite for my auto immune issues, but it does not address the pain. I use northern lights #5 and sour tsunami, and the combination of the two mostly in tincture for a number of things including pain and colitis , and it helps lighten my anxiety and helps with sleep but does not knock me out during the day. Something with the lowest THC possible, probably. I can’t tolerate THC at all so I stick to hemp-derived CBD products. That addresses the pain & anxiety without the mindf%ck of THC. If you still want *SOME* THC in your cannabis, something with an 18:1 ratio like ACDC would probably be more up your alley. Something everyone should know about CBD and the difference between Industrial Hemp and Cannabis. You decide. CBD is produced in both hemp/fiber variety and drug variety cannabis plants. Are they the same compound? Yes, but we know from numerous studies that cannabinoids such as CBD work best when other cannabinoids and terpenoids are present, a synergy termed “the entourage effect.” Hemp is virtually devoid of other cannabinoids and terpenoids. Also, industrial hemp contains very little CBD, necessitating a large number of hemp plants to obtain what can be obtained from one CBD-rich drug variety plant. The use of a large number of hemp plants also increases the risk of toxin contamination as hemp is a bio-accumulator, drawing up toxins from soil. (Fun fact: industrial hemp was planted around the Chernobyl nuclear power plant after the nuclear explosion in 1986). Most importantly, an excellent study from Israel in 2015 showed that whole-plant CBD, containing cannabinoids and terpenoids, was superior to single molecule CBD, with whole plant extract having a wider therapeutic window and better efficacy at lower doses. 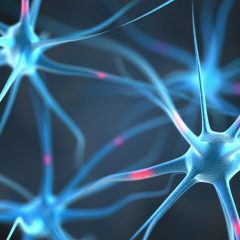 My clinical experience with thousands of patients confirms that whole plant CBD-rich cannabis is more efficacious than hemp-based single molecule CBD. 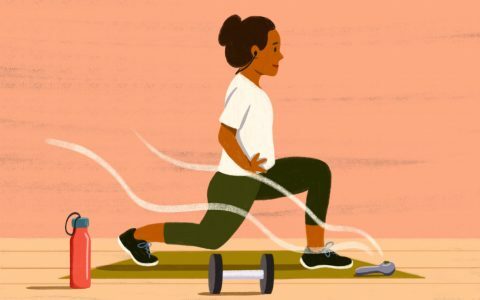 How Should Patients Choose CBD Products? Be aware that there are a small number of hemp products on the market that are labeled “hemp” to comply with governmental regulations that require these products to have less than 0.3% THC, but they are robust with cannabinoids and terpenoids. Other products are devoid of all cannabinoids including CBD, despite the manufacturers’ claims. In 2015 and 2016, the FDA purchased a number of CBD products online and tested them for the presence of CBD and other cannabinoids, finding that the amount of CBD claimed on the labels was markedly inaccurate — some products did not contain any CBD. In states that have medical cannabis laws, it’s best to obtain products from licensed suppliers who share their test results, which should validate the product’s robust cannabinoid and terpenoid profiles. If you are obtaining hemp through online outlets, thorough research is required as there are many bogus claims being made. You’re referring to industrial hemp that’s grown for fiber or seed. I’m referring to medicinal-grade hemp covered in trichomes with up to 15% CBD and 0% THC. Strains like Cherry Wine & Charlotte’s Cherries that are grown right here in the U.S. & produce sinsemilla bud that’s manicured & smells just like actual weed. Even Finola–an industrial hemp strain–has 7% CBD, which is quite a decent amount. The famous Charlotte’s Web strain is legally considered “hemp” because it contains 0.03% THC or less. Basically, any cannabis that has 0.03% or less THC is considered hemp. Some of it is crap & some of it is really, REALLY good medicine. The myth that all hemp CBD companies derive their CBD from the stalks of foreign-grown industrial hemp grown on a nuclear dump site is just that–a myth. Many companies grow their own high-grade hemp domestically & turn it into CBD isolates, tinctures, etc. Or you can just buy the high-quality hemp buds & smoke/vape them as they are, which is what I do. As for the mislabeling, that happens with even the most popular dietary supplements sold at Wal-Mart & GNC. Many of the supplements there contain little to none of the active ingredient…some even contained contaminants or drugs. But that’s a regulatory problem, not a hemp/CBD problem. It would be wonderful if we all lived somewhere that allowed marijuana/THC consumption, but that’s not the case. My state doesn’t even allow medical marijuana so I have to make due. I can’t wait until the legal market is flooded with high-grade hemp flower that’s rich in CBD. I agree wth what you say, now people have both views; that’s all I wanted to; my job is done here. How does Cannatonic compare to Charlotte’s Web? Or any of these strains? Charlotte’s Web is basically hemp rather than marijuana, as it contains less than 0.3% THC (that’s the legal definition of “hemp”). I haven’t tried Cannatonic, but the 5:1 or 1:1 ratio seems too high in THC for me personally. I have used SeedSupreme in the UK and Cadian Seed Bank in Canada. I have had the best results with Seed Supreme. I can give you some info on a supplement I take for cancer. It has worked miracles for so many people. Yes. Are you on facebook? You need THC more than CBD for that. Join the group Cannabis Success Stories on FaceBook and do a quick search of their archives. Thank you for the excellent article! I have a C5-C6 spinal cord injury and take a ridiculous amount of muscle relaxers. Living in a “nay” to MM state I do not have access to legit medicine, therefore, rarely do I even know what strain I’m receiving. Not to mention, it is always high THC which does little for my muscle spasms and furthers my PTSD, anxiety, and panic disorder. I found this because I am looking to relocate to friendly state. My spasms started in late 2004, about four years after my injury. I had to stop driving and have pretty much been a hermit since. I have many dreams and aspirations, yet am stuck in limbo because of the spasticy which is more debilitating than the injury itself. I knew and accepted that I was paralyzed as I laid there motionless under water. I am not in a wheelchair, I simply use one to get around. To be honest, becoming paralyzed was the best thing that ever happened to me. Now if it weren’t for these dang spasms. Running for president in 2020 vote ME (my initials ironically). Thanks again for the highly informative article! 20:1, oh how I shall dream of you! Much love to all! If you aren’t able to move, you might look into hemp-derived CBD products. Vaping CBD has been the most effective method of use for me. Capsules are also good. You can even buy whole hemp buds all over the internet now. It’s legal in all 50 states, though it strongly resembles pot in smell & appearance. Hemp has only trace amounts of THC, which has proven beneficial for me. I get horrid anxiety from even a tiny amount of THC. Some hemp has been bred to contain up to 15% CBD. Just a heads up, not all THC is the same. Sativa leaning strains do away with anxiety. There’s no scientific evidence for this. The anxiolytic/anxiogenic effects of THC are **dose** dependent. So if “Sativas” have a different effect from “Indicas”, it’s due to the potency. 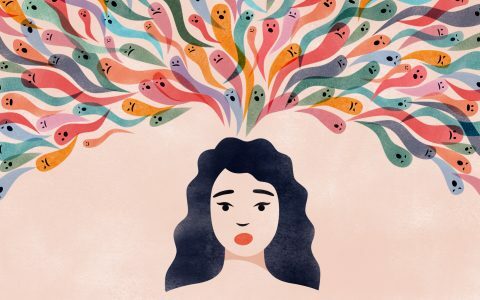 The CBD content is probably the biggest factor in controlling anxiety while smoking. hello @corners i don’t believe that’s necessarily true. we don’t know very much about sativa vs indica. there are many more factors in play and we should be careful with these sorts of statements. 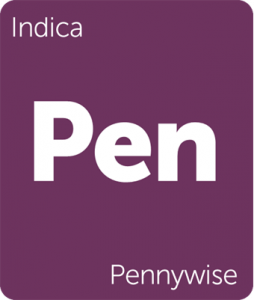 in fact, the general idea of indica vs sativa is sativas are more ‘uppers’ and cause jitteriness and anxiety. but that’s another misconception we should be careful with. I know this may be a really dumb question and I apologize. My Niece has just been diagnosed with Stage 4 Mets Breast Cancer. We are looking for low THC High CBD at a ratio of about 1:4. I am so lost, do we buy it like that, or do something in the “making” to get it like that? Gosh – I am an old 60’s Hippy and never thought I would be asking these questions but I would really appreciate your help. My sister is in the same condition as your niece, I think your best bet is to find a Holistic doctor if not available in your area buy from Charlotte’s Web there THC is .03 or so I believe. They use (C/W) Realm of Caring they will answer all your question and advise you further. God Bless. Harlequin has a ratio of 5:1, so that might be a good starting point. If you live in a state where pot or medical mj is legal, simply go to the dispensary & tell them what you’re looking for (you can use this site to check dispensaries around you & see what strains they have in stock first). If you live in a non-legal state, you’ll have to make due with hemp-derived CBD products– some of which are actually amazing. If you buy a CBD product such as a liquid or vape juice, make sure it lists the actual CBD dose on the container rather than just saying “200mg hemp oil” or similar. It’s the CBD you want & some companies are deceptive with their labeling. There’s also whole hemp buds with 15%+ CBD that are available in all 50 states online. 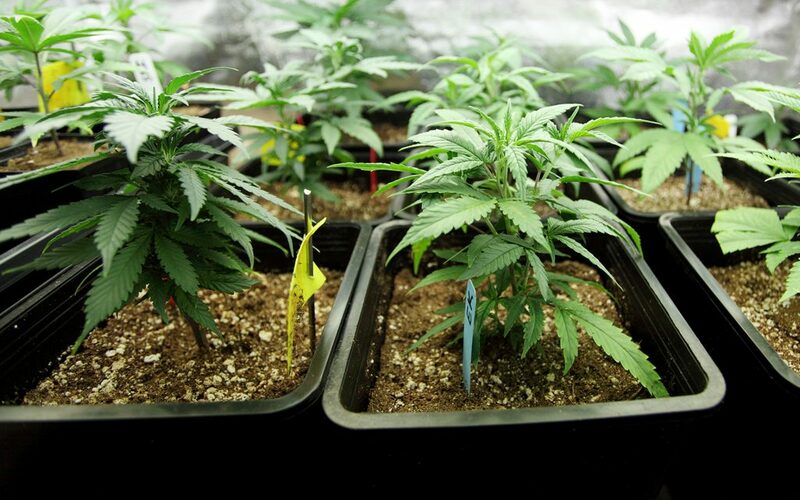 They contain no THC & thus are not psychoactive but are rich in CBD & terpenes, making them really good medicine. New CBD user – and love. How do I best find these to purchase? I am in SoCal? What solvent is primarily used to exctract the CBD and THC from plants. Which solvents extract CBD vs. THC? The services of the company are quite efficient. just got the oil for my mum. Since she began using it, she’s had to take less of her prescription pain meds, which is a good thing! I have ordered three times from this company, and each time the deliveries were prompt. All three arrived in the next business day. Can say extremely helpful for arthritis treatment. You’re looking for a pure CBD isolate most likely. Full-spectrum hemp products are more likely to contain trace levels of THC, which can cause side effects if you’re sensitive to it. Check out Koi brand liquids or simply type “buy CBD isolate” into Google & see what pops up. I doubt it will ever compare to opiates–CBD is subtle & mildly relaxing at best. But it can be good for pain, anxiety & insomnia. Lower your expectations & you might be pleasantly surprised. Aloha, i have epilepsy and am looking into cbd’s as an alternitive to medication. I’ve been hearing a lot about Charllote’s Web being the best with the highest amount of cbds as the #1 choice to treat seizures. Any advice on precuring this, Harlequin or Ringo’s gift? How do i order? AC/DC from ANNCANNMED have saved my life. No anxiety any more and i am able to sleep a lot easier. It’s amazing to see the many different benefits of CBD and i am glad that people are finally speaking out on it! Recommend this dispensary to anyone looking at Cannabis for help!! Can anyone recommend a high CBD Dwarf auto strain for indoor growing. It’s an amazing 1-1 CBD to THC strain. The flavor is just like sweet lemonade. No mention of Charlotte’s Web which is the only true 0% THC strain on the market.